Pablo Gunner talks about and reviews MARVEL's Luke Cage on Netflix. First off Luke Cage is a 13 episode show. Each epi is about an hour. 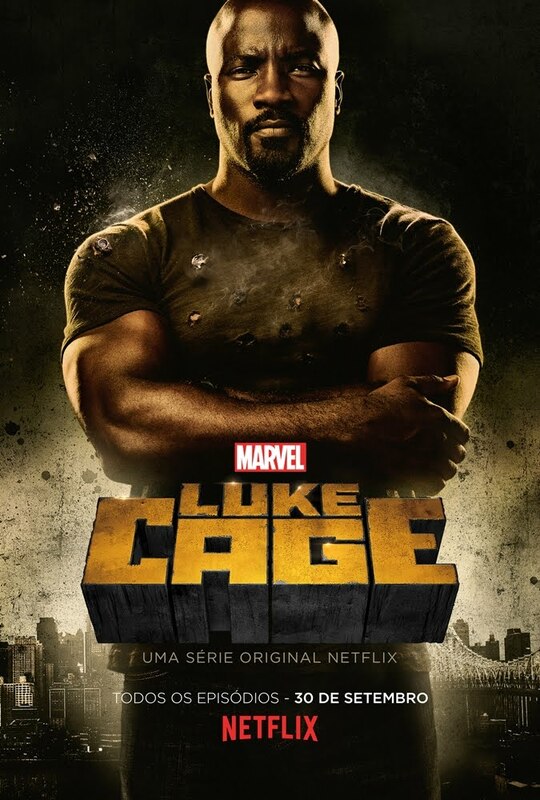 Personally I'm not that well versed in the original Luke Cage comics but I became a big fan when he joined and became the leader of the New Avengers written by Brian Michael Bendis. I've followed and enjoyed the character ever since. So since I wasn't on the up n up with Luke Cage's own first comics I didn't really know what to expect other than it would take place in Harlem and that at some point they would show or explain his origin. I don't know why but I guess I expected more focus on the fighting which doesn't really make sense since Luke is so strong and tough that most fights with him end pretty quickly from one punch or throw. I'll be honest that I didn't realize how good this show was until I finished it. It was a little underwhelming for me at first just because I didn't know where it was going or how it was going to end. Predictability usually isn't a good thing though and I was pleasantly surprised to find out that it might be the best Marvel show yet and is definitely the smartest. This show is so deep on so many levels. It's deep emotionally, intellectually, societally, and politically. It covers so many issues with our society, political, and justice systems. It's brilliant. Luke Cage and the other characters like Misty Knight and the night nurse have such an interesting and compelling arc and story. This show is so rich in character and culture. It goes emotionally in depth with its characters. The show has such a great range of music and style. Even the different locations in Harlem seem and feel like different characters each with their own look, style, feel, and tone. If there's any shortcomings of this Marvel Netflix show it's that it's slow but that's only because it takes it time developing all the characters and story. I enjoyed that the men in this show were weak to their emotions especially anger but also greed. The women were the tough ones, focused and driven. It also seems that those who gain power and don't want it don't know what to do with it but those that abuse it want more. It should go without saying at this point that this show has more depth and character than most. It's also more intellectual therefore Luke Cage deserves the highest grade, MUST SEE!